Looking for a job in the Snow Sports Industry? SnowShow ShmoozaPalooza wants you! The SIA SnowShow at the Denver Convention Center. The SnowShow is an event closed to the general public but on Friday from 10AM to 6 PM SIA SnowShow hosts an event for those interested in getting their foot in the door in the Snow Sports Industry. ShmoozaPalooza is your ticket to future SnowShows and a job in the Snow Sports industry. Come on over to the Korbel Ballroom at the Denver Convention Center to talk to the Ski, Snowboard & Winter Sports companies that are reviewing resumes. 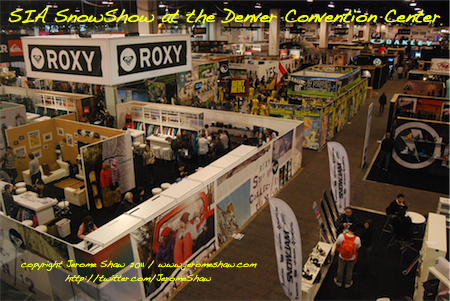 *The SIA Snow Show is only open to the industry trade, IS NOT OPEN to the public. Only the Shmooz is open to the public. your so passinate about writing and look forward to many more updates! !